It has come to notice that some of the taxpayers have not yet completed the linking of PAN card with Aadhaar number, the government said. The government on Friday extended the deadline for linking of Aadhaar card number with Permanent Account Number (PAN). Notifying the new deadline of March 31, 2018, the taxman said the move was to facilitate the process of Aadhaar linking. "It has come to notice that some of the taxpayers have not yet completed the linking of PAN with Aadhaar," said the Central Board of Direct Taxes (CBDT), the apex policy-making body of the Income Tax Department. Previously, December 31, 2017 was the last date for completing the process of linking Aadhaar card with PAN. Under the provisions of recently introduced section 139AA of the Income-tax Act, 1961 (the Act), with effect from 01.07.2017, all taxpayers having Aadhaar Number or Enrolment Number are required to link the same with Permanent Account Number (PAN), the Ministry of Finance noted. In view of the difficulties faced by some of the taxpayers in the process, the date for linking of Aadhaar with PAN was initially extended till August 31, 2017, which was further extended up to December 31, 2017, it noted. Effective July 1, 2017, the government has made the linking of PAN with Aadhaar mandatory for filing ITR (income tax return) and obtaining a new PAN. 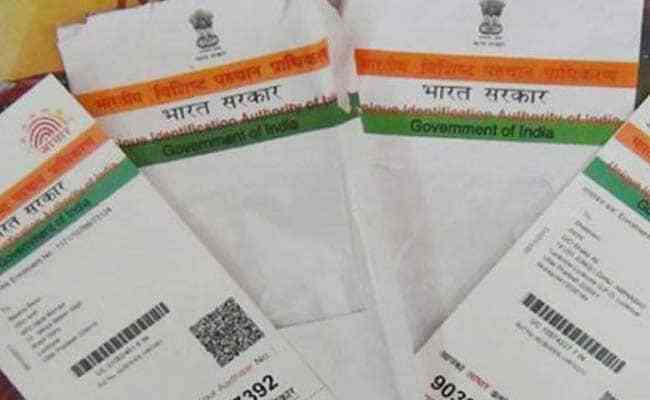 While Aadhaar is issued by the Unique Identification Authority of India (UIDAI) to a resident of India, PAN is a 10-digit alphanumeric number alloted by the I-T department to a person, firm or entity.